I tried two Days of Tea tonight for me and my mom, so here’s the second post! 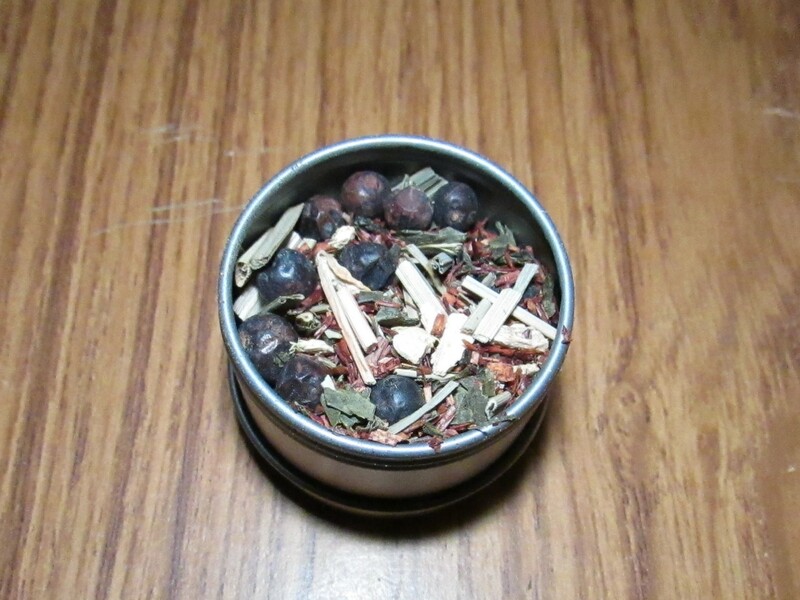 Ingredients: rooibos**, sencha green tea, lemongrass, ginger, juniper berries, ginkgo. With natural lemon flavouring*. DAVIDsTEA lists Organic Detox as a low caffeine product and I’ll have to agree with this. It’s giving me a slight kick, but it’s nothing that would keep me up or make me jittery at all! 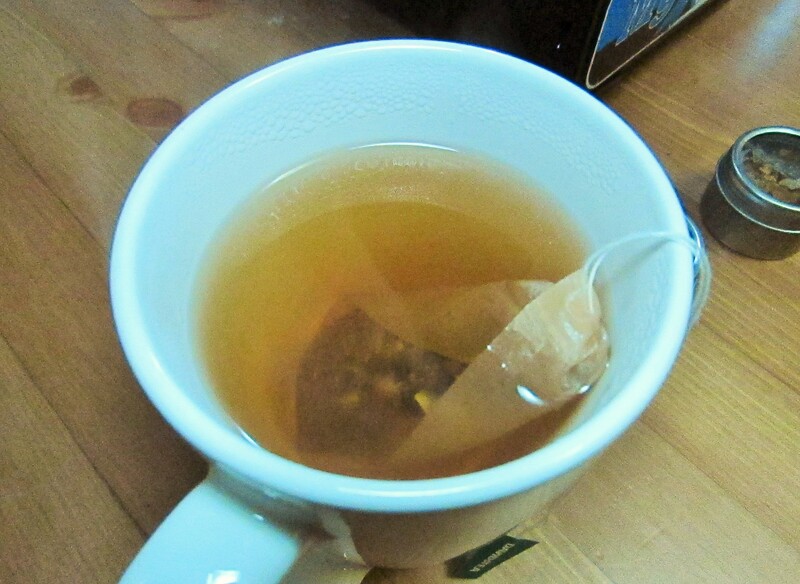 I’m guessing that the “detox” part of the tea comes from the ginger, juniper berries and ginkgo? I don’t think I really believe in that, but they’re all pretty healthy components although I know that they’re all also pretty strong flavoured on their own. It’s got a fairly typical green tea colour to it with a dark amber hue, and the sencha, juniper and rooibos scents come out really well. I’m surprised that the flavour isn’t stronger than it is! I know that ginger and juniper berries can be VERY strong if there’s a tiny amount too much in the formula, so I’m very impressed with the balance that they’ve achieved! The sencha and rooibos flavours are at the forefront, but the lemongrass and ginkgo provide a subtle woodiness to the tea that balances out the herbal flavours of ginger and juniper berries. What’s in store for Day 6 and Day 7? You’ll have to find out tomorrow!